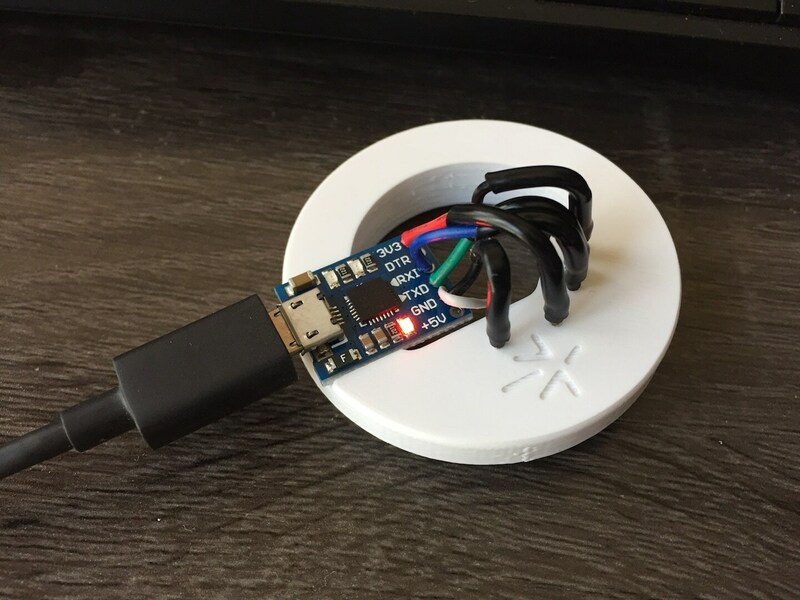 The AiLight Adapter is a nifty custom made jig that allows you to upload firmware to the Ai-Thinker LED RGBW WiFi (and compatible) light bulbs without soldering any wires. 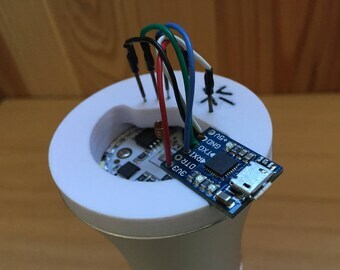 The adapter consists of a 3D Printed jig, a USB/UART adapter (based on the CP2102 chipset) and connected pogo pins and that fits into the light bulbs' aluminum housing. It is a completely assembled and tested adapter, so you can start right ahead flashing any firmware you like. If you want to avoid any soldering or are not keen on doing any precision work assembly, this edition is the right one for you! - Although the AiLight Jig is made for immediate use with minimal assembly, it does require some precision and assembly skills. The used pogo pins are very delicate and can break easily if too much force is applied. - 3D Printing is a process whereby material is deposited layer by layer and is time-consuming. Because of this technique and its natural variations, items may contain some minor imperfections or small blemishes that in no way affect the quality or usage. Pictures are indicative of the actual quality of the item, and may slightly differ from the finished product. 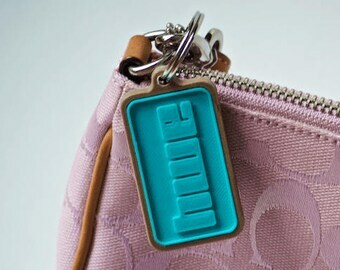 We just love the keychains. Thank you!